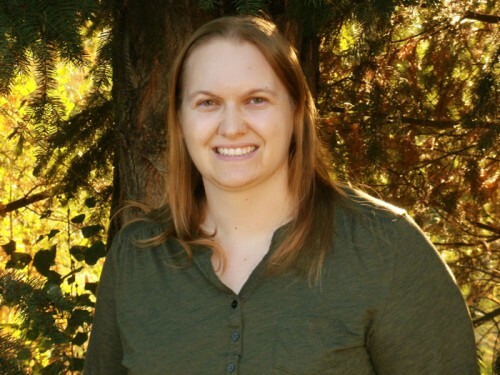 Jessica Sarauer is currently a Ph.D. student in the College of Natural Resources at the University of Idaho. Her research focuses on greenhouse gas emissions and microbial communities in forest soils. When not in the woods collecting samples, teaching forestry students, or at her desk, Jessica enjoys camping, trying new foods, reading, and playing fantasy football. I’ve always been interested in the natural world. I grew up in Wisconsin and spent most of my childhood exploring forests, fields, and lakes. My dad is an avid hunter and fisherman (as well as a hobby farmer) so I spent most of my time outside following him around and asking tons of questions. In my freshman year of high school I joined the FFA and became interested in forestry and biology in general. From that point I knew I wanted to have a career in science, specifically in natural resources. In the AHB project, I am comparing greenhouse gas emissions from poplar plantations and adjacent conventional agriculture fields. Our group is very interested in three important greenhouse gases – carbon dioxide, methane, and nitrous oxide. I’m also working on another project where I’m researching biochar. Biochar is charcoal that is intentionally used as a soil amendment to possibly sequester carbon, mitigate greenhouse gas emissions, and improve soil fertility. Why should biofuels researchers think about soil? Soils should be thought about by biofuels researchers (and everyone else for that matter!) because of the services soils provide to growing crops. Soils provide a habitat for biofuel crops to grow – including physical support, water, aeration, and nutrients. Soils are also important for other ecosystem services including water regulation, atmospheric gas modification, nutrient cycling, and carbon storage. Without soils, we wouldn’t be able to grow our bioenergy crops! What do you enjoy most about studying soil? I enjoy the mystery and diversity of what is living in the soil. My favorite fact about soil is that a handful of soil contains billions of organisms (from almost all phyla). What’s your favorite field story from AHB? Of my many trips to AHB field sites, my favorite would have to be a fall visit to the Hayden site. As I was collecting data, a group of elk was making their way through the poplars. They were about 30 feet away and never noticed me. Charismatic megafauna are always a highlight of any field outing, especially when seen on site and not just on the drive to or from. Spiders on the other hand are not my favorite creatures to encounter, and I have a couple least favorite AHB field stories involving them! Has AHB influenced your future career goals? Yes, AHB has influenced my future career goals. Working on the AHB project has shown me the variety of opportunities available to me after graduating and has introduced me to talented scientists. The AHB project has also given me field and lab skills that I never expected to have that I will use in pursuing my future career.